Saturday, April 13, 8:00 p.m. The Manhattan Choral Ensemble was thrilled to revisit two of the choir’s most beloved works: Samuel Barber’s Reincarnations and Aaron Copland’s In the Beginning. First performed by the MCE in 2006, these pieces hold a special place in the choir’s history. Both pieces premiered in the late 1940’s, representing a high water mark in American choral compositions. 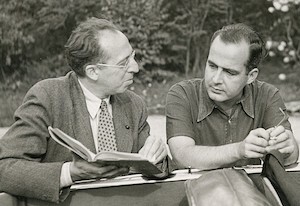 Copland, along with composers such as Leonard Bernstein and George Gershwin, led the vanguard of creating a jazz-tinged populist sound, while Samuel Barber’s Neo-Romantic style explores a distinctly New World reconceptualization of traditional European structures. Selections rounding out the program included Shawn Kirchner’s arrangement of Unclouded Day, Guide Me O Thou Great Jehovah, and other popular folk settings. Winner of the 2008 Pulitzer Prize for Music, David Lang’s Little Match Girl Passion has been hailed by Pitchfork as “the most profound and emotionally resonant work of [Lang’s] career.” The secular oratorio sets Hans Christian Andersen’s story in the format of Bach’s St. Matthew Passion, elevating the doomed fairy tale heroine to a Christ-like figure. New Yorker Lang’s Passion will be paired with brand new compositions by innovative New York composers. Friday December 7, 8:00 p.m.
Sunday December 9, 3:00 p.m.
For its Christmas 2018 concert, the MCE immersed audiences in the holiday music of the Spanish-speaking world. Contemporary works by Josu Elberdin and Guarionex Morales Matos were sung alongside traditional sacred works by Tomás Luis de Victoria, Juan García de Zéspedes, and Oscar Lorenzo Fernández. Traditional carols including the Catalan “E la don, don” and the charming villancico “Ríu Ríu Chíu” capped this heartwarming holiday program. 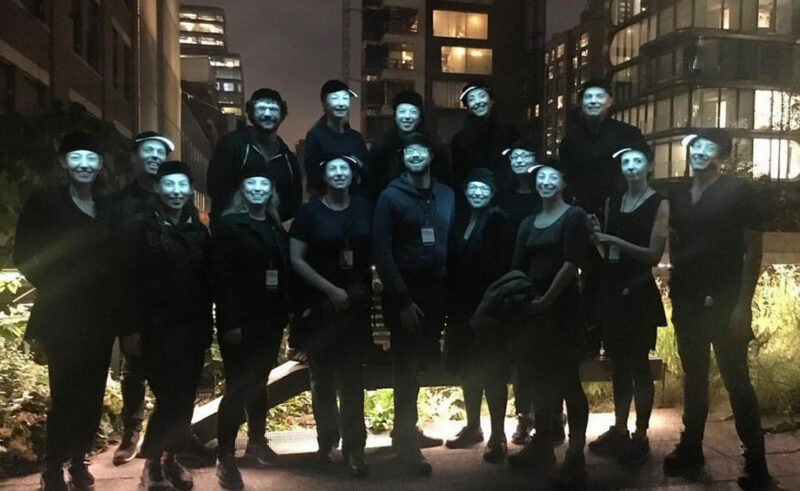 MCE members sang in the Mile Long Opera on New York’s High Line.